Inspired by Rome - the birthplace of Western Civilization and one of the most populated and energetic cities in all of Europe. Introducing the Brigitte – the life and romance of “The Eternal City” is reflected in our new sandal with its exotic appeal and comfort construction. Featuring our new cushioned and contoured cork footbed, arch support, elastic straps over the instep, a 2 3/4” heel, and a rubber traction sole, the Brigitte will give you the comfort and support to keep up with even the fastest paced city life. 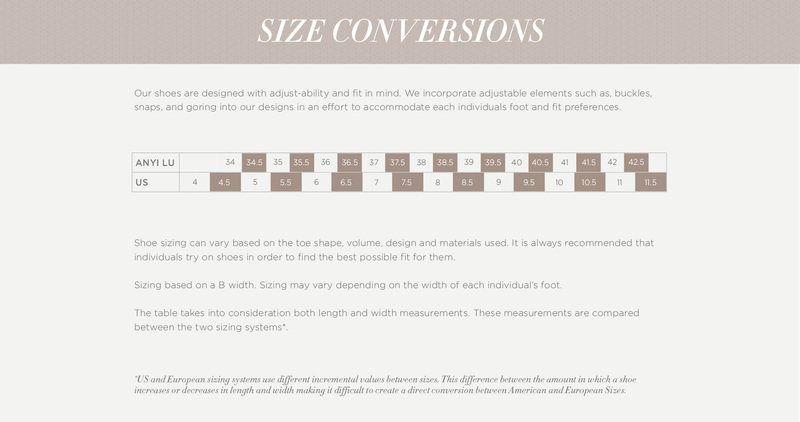 It’s no secret that most couture women’s footwear brands prioritize fit far below aesthetics. Most designers are in fact men who have never spent a day in their own creations. This results in few resources going towards fit testing. We use eight to ten foot models and up to 25 rounds of testing to ensure every shoe is as comfortable as possible. Many shoes never make the collection because if it isn’t perfect, it doesn’t get produced. We painstakingly hand-select each one of our leathers from the top ten tanneries in Italy. Commonly used synthetic linings cannot breathe and cause the foot to sweat resulting in blisters and irritation. Therefore, we fully line each shoe in highly breathable Italian Nappa leather. There is never a need to break in the shoes, even our patents, as our leathers are soft and stretchy creating a custom like-fit.